Cody Wheeler has had one stressful year and wants nothing more than to relax, forget about his problems, meet up with his buddies for a beer or two. He can't wait to wave out the old year and welcome in the new. 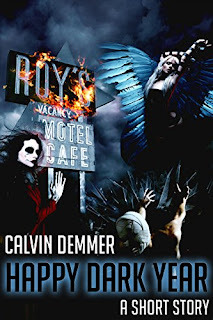 This tale by Calvin Demmer is a great dark story guaranteed to counter-act the sweetness of the festive season for all you horror fans out there. In this, Calvin Demmer takes something very old and makes it new for the 21st century. 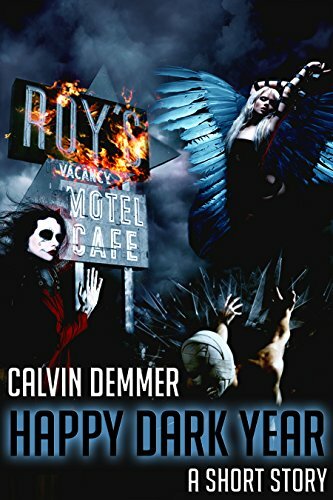 If you love this tale and eager for more, this is the sixth short story to be released by him and the great news is that they're all available on Amazon for mere pennies! Brilliant for when your wallet needs a break after Christmas. 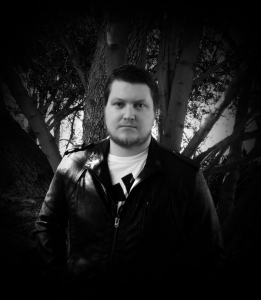 He's previously published Hungry Ghosts, Labor Day Hunt, Thanks Sinning, Trick or Death and Three Dead Men.